It’s Alberto. This week’s fill ins were tailor made for me so I’m doing the answers. 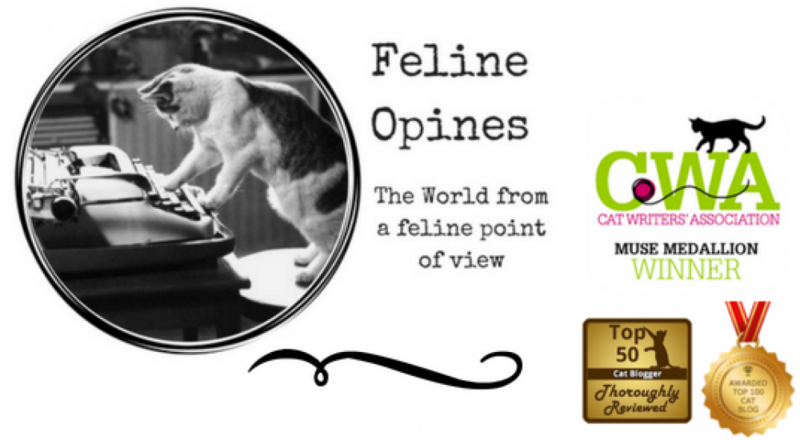 We love this weekly blog hop sponsored by our friends 15andMeowing and McGuffy’s Readers. Join the hop yourself or, if you prefer, leave your fill in answers in the comments. 1. __________________is one of my ___________________. 3. I have a hard time . 4. is easy for me. 1. Bag and box sitting is one of my favorite pastimes. 2. I also tend to spend quite a bit of quality time on window sills. 3. I have a hard time understanding why the humans would rather pay attention to the big moving picture box rather than me. Why are they looking at that stupid moving picture box rather than me? 4. Hanging out in high places is easy for me. I don’t know why they would rather watch the big picture box than you too. I linked this post to Feline Friday. I know, right? Thank you for the link! Thank you, I am an agile little fellow! Thank YOU for the meal!! But yeah, thanks for spending the time to talk about this matter here on your web page.